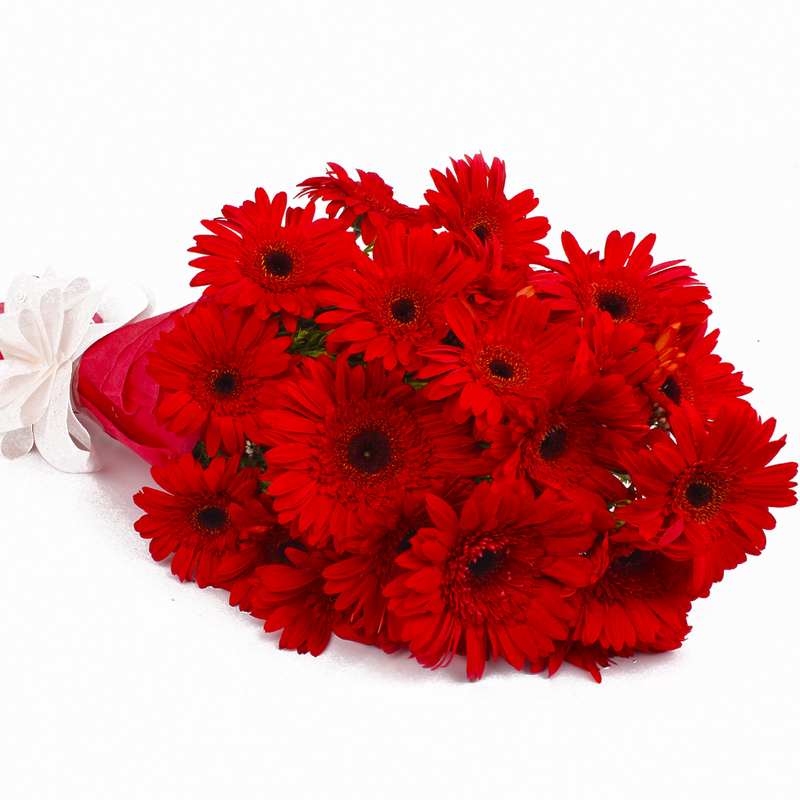 Product Consist : 20 Stem Red Gerberas with green fillers in tissue paper Wrapping with Ribbon Bow on it. 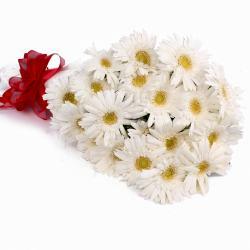 Let this bouquet express the inmost feelings of your heart. 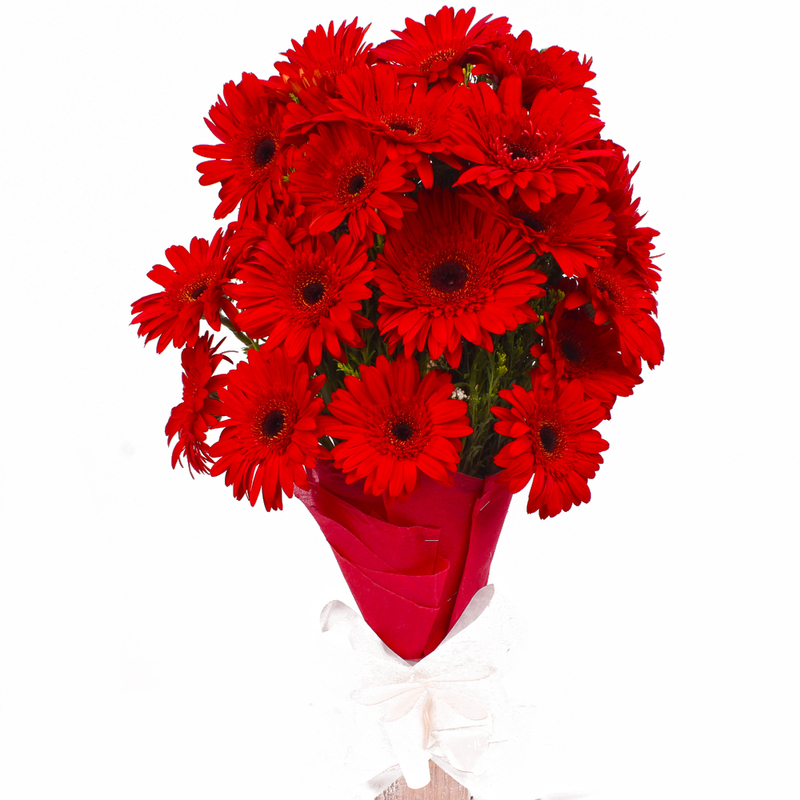 It consists of Red Gerberas that come wrapped in tissue paper. The flowers are fresh and dainty. 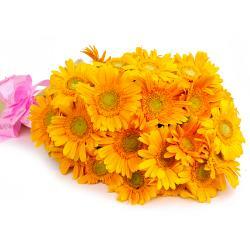 It will add a tender touch to any occasion or event. 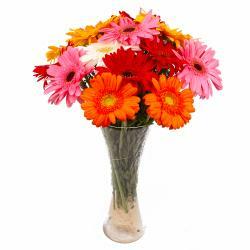 This is ideal for occasions like Birthday, Anniversary, Wedding, Bhaidooj, Mothers Day, Congratulations, among other such special occasions or events. 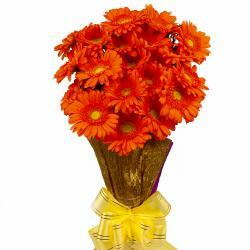 Product contains : 20 Red Gerberas with green fillers in tissue paper Wrapping with Ribbon Bow on it.